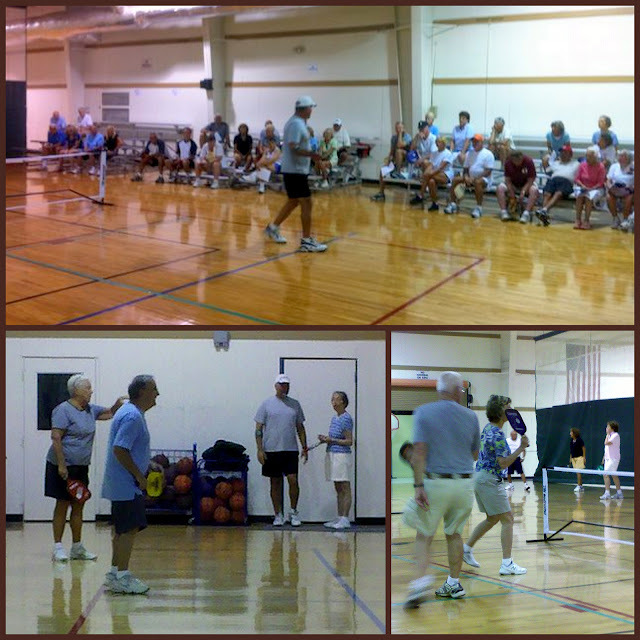 Atlantic South Region: More Pickleball Growth on Florida's East Coast! It wasn't too long ago that Ambassador Scott Nelson reported on the phenomenal growth of pickleball players and places to play along Florida's Space Coast. But the most recent explosion is taking place a little further up along the central east coast, specifically in Volusia County. Anita Rimler, Ambassador - Daytona Beach Shores has this to say: " Daytona Beach Shores Pickleball Players , the first area in Volusia County to start Pickleball has reached out to our sister area's, with demonstration in Port Orange, at their newly lined courts. They have another demonstration planned to kick off Ormond Beach's newly lined courts and later next month they will travel to Deland to kick off their new courts. 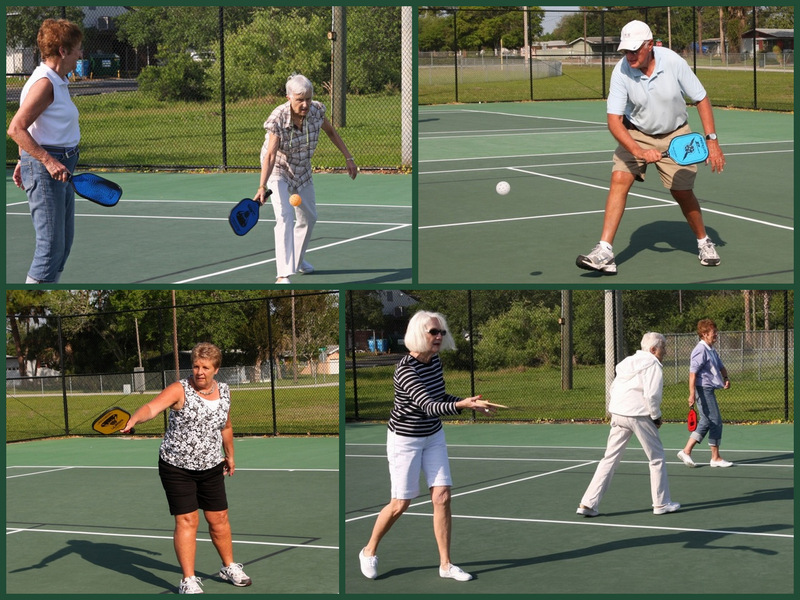 What fun to have so many new places to play and so many new people in our area love'n Pickleball" !! On April 10th at 10am The Lydia And Leo Amiel Pickleball Courts will be dedicated in The Shores. Anita and her husband George have contributed significantly to the county to erect these courts as a memorial to her parents, pioneers of The Shores. " We now have 20-30 regular everyday players. Pictures will follow." Ambassador Cathy Stansbury - Daytona Beach shares some recent news! “Here are a few new things happening here. March 24, Pelican Bay Pickleball Club had a round robin and potluck. We limited it to 20 people and were able to use our 4 courts, so there wasn't a lot of waiting to play. However, people were rather tuckered out after playing 5 rounds with only one sit out. The winners from each court played a round robin, to determine the overall winners, who received cash for 1st, 2nd, 3rd and 4th place. Our club is open to anyone in Daytona Beach to play free until May 1. Because of the number of people who have been coming from outside our development, there has been an increased interest in the sport within our development. I think I have over 70 names on my list and more are showing up on our regular scheduled days, Tues, Thurs and Sat. Also Channel 6 out of Orlando came out to video about 30 players at Pelican Bay and did a pickleball segment on their nightly "Making a Difference" segment. CLICK HERE to view this segment. And Both Anita and Cathy provided information and pictures on these two recent events. We'll wait to hear more from Anita on the Grand Opening and the upcoming demonstration in Deland. The Adult Center on 4790 South Ridgewood Avenue, Port Orange, has now lined their two tennis courts for pickleball. On March 29th there was a demonstration at the Adult Center. There were about 25 people. These pictures were taken by the center's supervisor. Several players gave a demonstration and an experienced player gave lessons. Those attending were given the chance to play with paddles that are available at the center. Everyone had a good time and plan on coming next week to play. They have scheduled Wednesday mornings from 9:00 to 11:00 for regular play and Port Orange is listed now in "places to play. And as reported in the Daytona Beach News Journal, The Nova Community Center at 440 N. Nova Road in Ormond Beach, offered a free Pickleball Clinic on Monday April 2nd from 9 to 11 a.m.
Mike Pascale (pictured giving helpful hints to the group before they take to the courts) and several players from Daytona Beach Shores provided a tutorial of the rules and a demonstration of how the game is played. This was followed by open play. About 25 avid learners now know about pickleball and are excited to play on their new indoor courts. The Center is open to pickleball Monday through Friday from 9 to 11 and is free to residents of Ormond Beach. It's great to see pickleball expanding along Florida's east coast!! !